For many entrepreneurs, inspiration starts at home. For Kido Chukwunweike, missing homemade Nigerian cooking while he was a grad student in the UK was a lightbulb moment. For many Nigerians, breakfast is synonymous with akara, a quintessential comfort dish made from cowpeas (called “beans” in Nigeria). Pan-fried with chili and onions, the cakes are enjoyed sizzling hot (and are delicious with a side meal of custard). Typically, making akara takes nearly 2 hours, because cowpeas need to be cleaned, soaked, peeled, milled, and fried. For Kido, there was little chance he could enjoy akara and other local Nigerian dishes given his busy schedule as a grad student. But one day in grad school, Kido’s Nigerian roommate received a care package from home, which included a packet of powdered cowpeas. The powder was made by his roommate’s mother, so that her son could easily make his favorite Nigerian food in less than 20 minutes. Kido wondered why cowpeas were simply not available in processed form in Nigeria. With a background in logistics and supply chains, Kido began a partnership with a longtime friend, Kelechi Odoemena, who’s focus was agricultural economics and had extensive experience in operations from fish farms to vegetable crops. They launched Dillish Instant Foods to develop their product—processed cowpeas that cooked in 20 minutes. One of the most important issues they tackled was developing a chemical-free method and using custom equipment to process the cowpeas. Improperly applied pesticides had caused poisonings in past years, and the problem was so pervasive that the E.U. banned the import of Nigerian cowpeas. 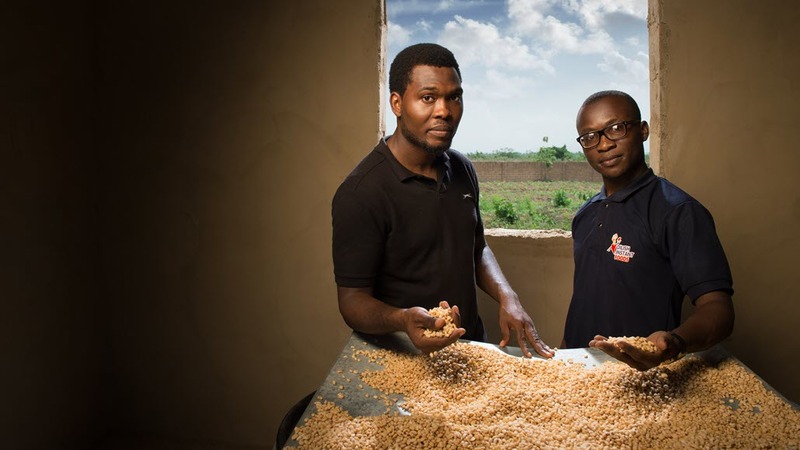 By using safe, chemical-free processing and creating a market for farmers, Kido and Kelechi also see themselves as working to help strengthen farmers’ livelihoods and economic security. After several years of research, developing a network of local farmers, and being awarded the #Insiders4Good Fellowship from Microsoft, Dillish Instant Foods launched its first product. It used social media for grassroots marketing and sales, and was recently approached by a large distributor—a first step toward Dillish’s goal of being available in supermarkets across Nigeria. For Kido and Kelechi, the journey of entrepreneurship has been all about working together and steady steps adding up to bigger goals. Dillish Instant Foods was awarded a Microsoft #Insiders4Good Fellowship, part of a new initiative at Microsoft designed to support promising entrepreneurs with extraordinary solutions to social problems.